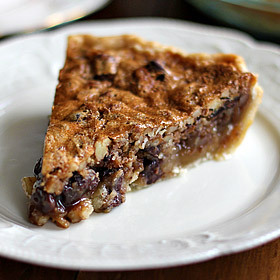 What do you eat for Thanksgiving when turkey’s not on the menu? Anything you want! Here’s a collection of meatless main courses, salads, soups and sides that are ripe for the feasting. 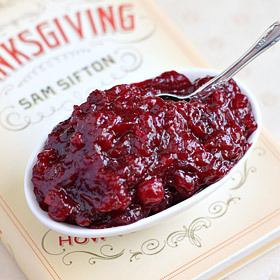 Thanksgiving cooking doesn’t get much easier than this jammy, ruby-red sauce with the perfect balance of tart and sweet. 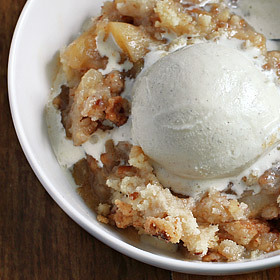 The only apple crisp recipe you’ll ever need, with cinnamon-kissed apples and a crunchy pecan streusel. Ready to put some apples on the dinner table? 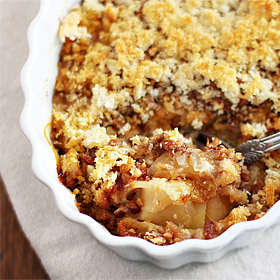 Try this fall casserole with sweet apples and onions, sharp Cheddar and crunchy pecans. 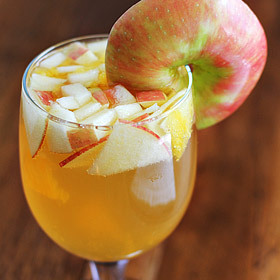 Celebrate the Most Perfect of All Apples with a pitcher full of Chardonnay and Calvados, mixed with chopped honeycrisp, orange, cinnamon and ginger. 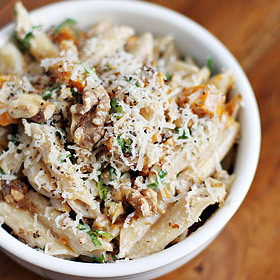 The goat cheese melts into a tangy sauce for this beautiful mess of roasted squash and onion, toasted walnuts, fresh basil and Parmesan. What, you haven’t celebrated America’s Native Spirit yet this September? Get up on this. 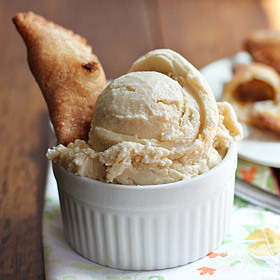 Ring in the fall with these crispy half-moon-shaped pastries full of chopped apple, bourbon, brown sugar and cinnamon.